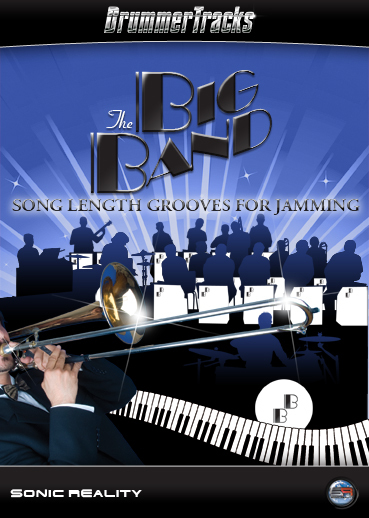 For authentic drums in the classic Big Band stylings of the Duke Ellington, Count Basie, and Glenn Miller bands, Big Band Groove really swings. Played by legendary jazz drummer Danny Gottlieb, Big Band Grooves delivers genuine inspiration at a range of tempos and intensities. These drum parts are great for fans of Big Band, as well as any style derivative of Big Band such as acid jazz, lounge, R&B, and even hip hop. Play along, write music, record/overdub parts in any recorder or use it for fun practice.